There is no one single super smart Forex trading tool which gives you profit, profit and more profit. The only possible solution is to use a combination of different tools to identify the favorable market forces to get a maximum number of high probability trades over a period of time. 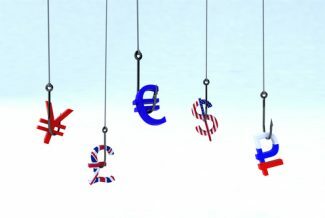 Trendlines are the most popular and reliable Forex trading tool which many successful traders give their testimonial for. Trend Lines are an important tool for trend identification and confirmation in technical analysis. It is a straight line that connects two or more price points and then extends into the future to guide you. There will be lines drawn across significant lows in an uptrend, and significant highs in a downtrend. To roughly classify trend lines, we can divide them into three as short term trendlines, medium term trendlines and long term trendlines. Draw these lines across the most recent two lows for an uptrend or across most recent two highs for a downtrend. Best observations are found on a smaller time frame such as a 15 minute or 30 minute chart. These are best observed on a higher time frame like a 60 minute chart. It either connects the nearest significant low to current price action to the previous significant low in an uptrend or the nearest significant high to current price action to the previous significant high in a downtrend. It uses higher time frames such as the 4 hour chart or the daily chart to draw long term trendlines using the same method of Medium Term Trendlines. The long term trend line is considered as an effective Forex trading tool. The daily chart is used mostly by traders of big institutions who do not usually engage in small moves on an intra day level. By drawing a trend line on a daily chart you can graphically analyze where price is and where it is likely to bounce. But employ trendlines as a Forex trading tool with caution and discretion. Covering your charts with every trend line possible will result in confusion and blurry analysis. It is not a good idea to rely completely on a short time trend line. They merely give you a defined picture of current price action. These are broken often during the course of a day. Their main use is to give you a clear, instantly recognizable graphical representation of current price behavior. If you notice price coming back to test a trend line on the higher time frames, look at other factors.